The two-day All Assam Non-Ranking Badminton Tournament -2017 Season 4 got off to a grand start at Tangla in Assam’s Udalguri district on Saturday evening. The tournament is being held under the aegis of Tangla Bodoland Martyrs Memorial Badminton Tournament Committee and sponsored by Tangla unit of All Bodo Students’ Union (ABSU). The two-day long All Assam Non-Ranking Badminton Tournament -2017 Season 4 will have only men’s double matches. The tournament is being held at the Chamuapara L P school premises of Tangla in Assam’s Udalguri district. 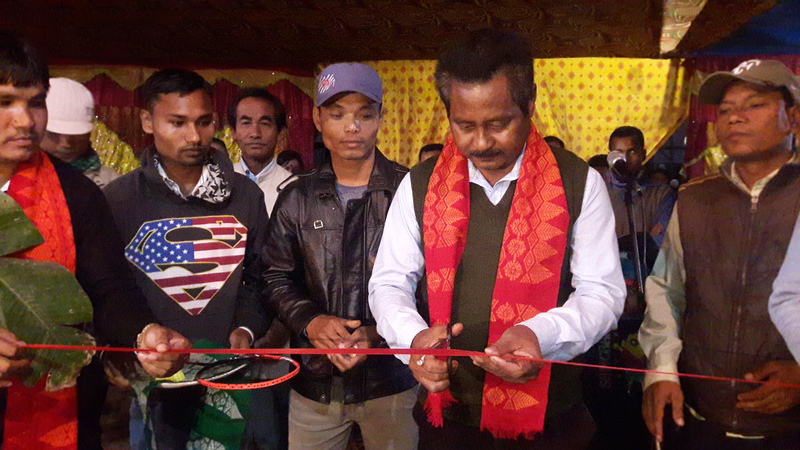 The event was inaugurated by Udalguri district sports officer Bhupen Rabha where activists of Bodoland Janajati Suraksha Mancha (BJSM) and All Bodo Students’ Union (ABSU) earlier paid homage to martyrs of the Bodoland movement. The tournament has witnessed wide spread participation of players from nook and corners of the State. The winners will take way cash prize of Rs 20,000 and Rs 10,000 for the champions and runners up respectively besides trophies and certificates.